I’m a professional journalist and photographer with 14 years of journalistic experience. I live and work in Tbilisi, Georgia (Caucasus). 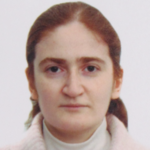 During my journalistic career I’ve published my articles and photos in several newspapers, magazines and news agencies: “Argumenti i Fakti”, “Vecherni Tbilisi”, “Kavkazski Akcent”, “Kvali”, “Sharqi”(Azerbaijan), “InterPress”, “Gazeta.ru”, “Newspress”, “Demotix” “Rezonansi”, “Versia”. In 2006 was held my first personal photo-exhibition in gallery “Kopala” in Tbilisi, which was widely covered in Georgian media. I’ve also participated in several international photo contests: “Water is Life” (UNDP, 2003), “Women for Peace” (UNIFEM, 2002) and World Press Photo, and I’m a prizewinner of local photo contest, organized by newspaper “Argumenti i Fakti” in 1999. 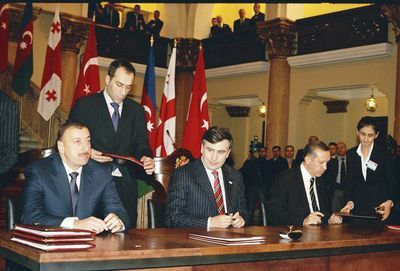 On February 7, 2007 Georgia, Azerbaijan and Turkey signed an intergovernmental agreement on Baku-Tbilisi-Kars New Railway in Tbilisi. This railway is a new corridor that will connect Azerbaijan, Georgian and Turkish railways. Azerbaijani President Ilham Aliyev and Turkish Prime Minister Recep Tayyip Erdogan met with Georgian President Mikheil Saakashvili to sign a framework agreement on the project. The agreement was signed in the Parliament of Georgia after the press briefing of Ilham Aliyev, Recep Tayyip Erdogan and Mikheil Saakashvili. 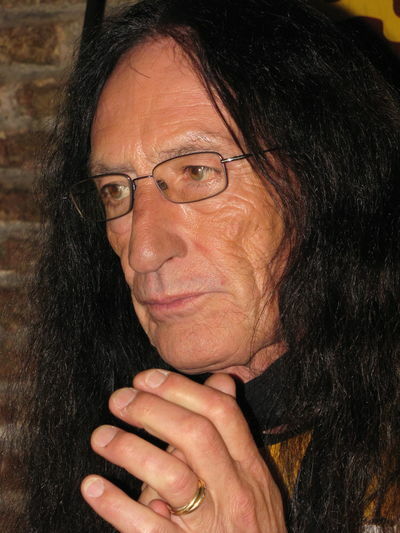 Legendary British musician and founding member of Uriah Heep Ken Hensley held press conference in Tbilisi on November 4, 2011. 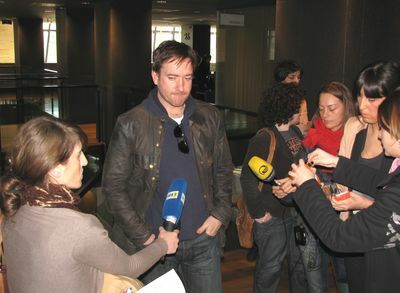 He came to Georgia and gave an acoustic concert in National Music Center in Tbilisi on November 5, 2011. 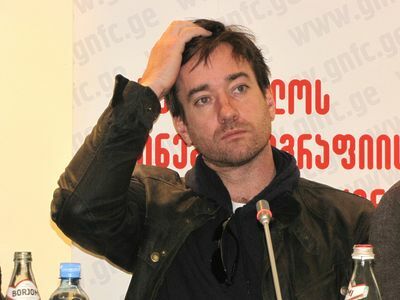 The day before the concert he held press conference and answered the questions of Georgian journalists. Old Jewish cemetery in the village Yeghegis in the Vayots Dzor Region of Armenia. The oldest tombstone is dated 1266 and the latest 1337, showing the cemetery was in use for at least 80 years. About 40 tombstones survive in the Jewish cemetery in Yeghegis and about 30 were found nearby, 10 tombstones bear inscriptions in Hebrew or Aramaic. 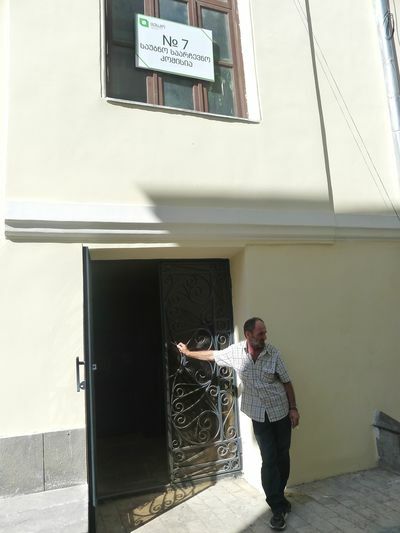 The inscriptions contain age-old Jewish funerary language. 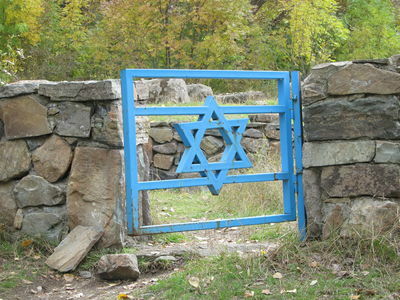 Some of the names of deceased were current among the Jews of Iran, witnessing the possible Iranian origin of the Jewish community of Yeghegis. The site was opened to the public in May 2009. 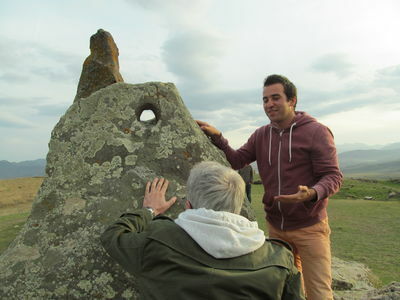 Georgian journalists visit Armenian Stonehenge Zorats Karer during the press tour, organized by Armenian IDeA Foundation. Zorats Karer (Powerful Stones) is a prehistoric archaeological site in the Syunik Region of Armenia. International tourists often call it Armenian Stonehenge. It is thought the complex have been in use from the III or II millennium BC. 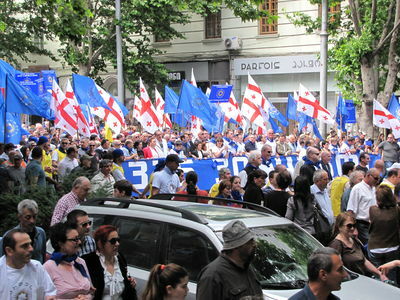 Political leaders, activists and supporters of the coalition started gathering at three separate locations of Tbilisi. 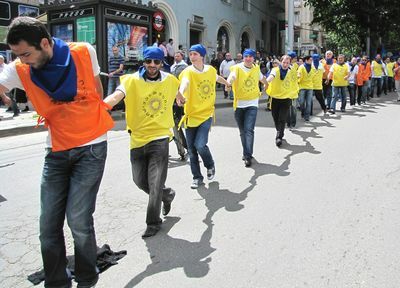 They began marching towards the Freedom Square where a stage was installed for the rally. 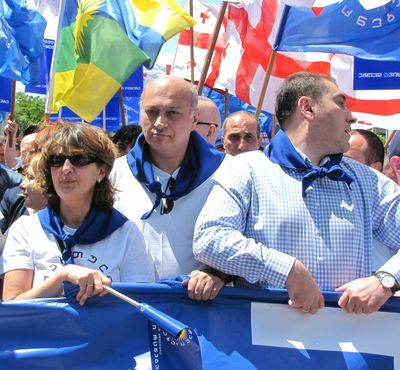 While waiting for their leader Bidzina Ivanishvili, several political leaders of coalition addressed the rally. 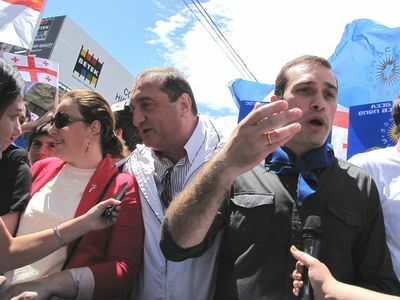 After the victory of the political coalition Georgian Dream in the Parliamentary elections Bidzina Ivanishvili became the Prime Minister of Georgia. 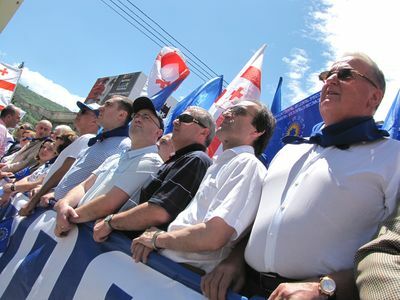 Many participants of that rally became the members of the Cabinet. 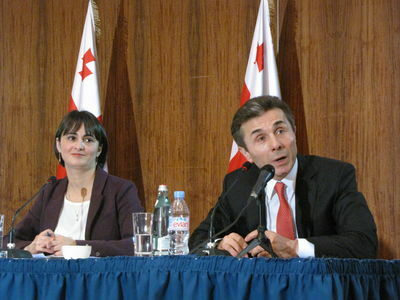 Irakli Alasania became the Minister of Defense of Georgia, Maia Panjikidze – Minister of Foreign Affairs, Tinatin Khidasheli and David Saganelidze became members of Georgian Parliament. 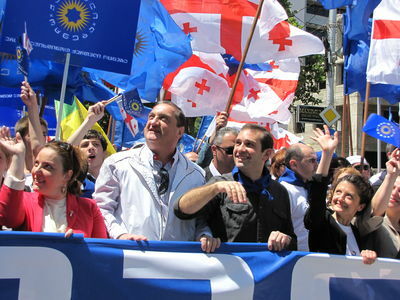 Georgia celebrates the day of its capital city Tbilisi. 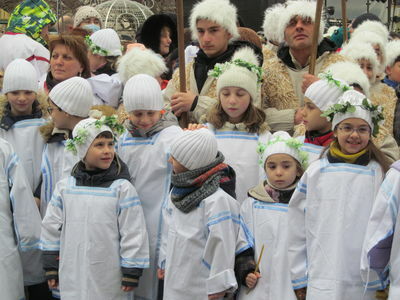 The celebration is called Tbilisoba and is held every year on the third weekend of October. 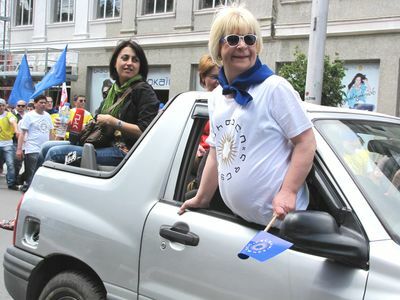 Tbilisoba is an annual October festival, celebrating the diversity and history of the capital of Georgia. 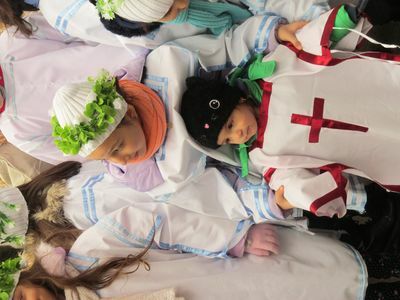 It was first held on October 28, 1979, and has since become the tradition. 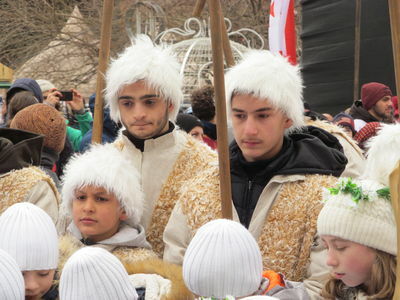 On this day the city gains its ancient look with street merchants and men dressed in traditional Georgian dress Chokha. 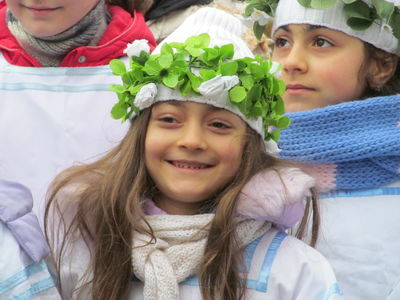 Visitors of the city can enjoy the concert of the multicultural folk groups held in the old district of Tbilisi – Abanotubani (The district of baths). Artists in traditional clothes dance national dances of the people living in Georgia. Guests can also taste Georgian national dishes Mtsvadi (shish kebab), Pelamushi (national sweets) and famous Georgian wine. 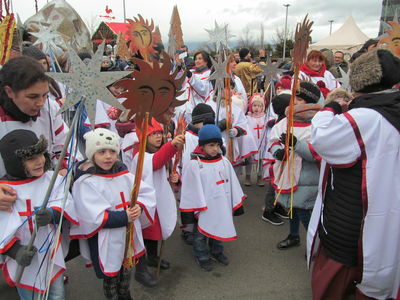 Fruit Festival coincides with Tbilisoba celebration. 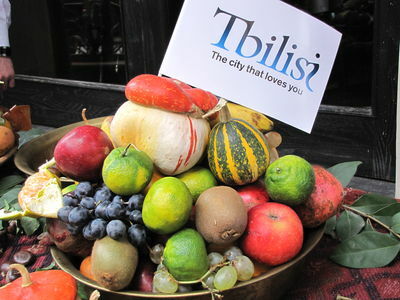 On Tbilisoba cafes, bars and restaurants compete with each other in the creation of the fabulous fruit compositions. The fruit cakes are baked and are decorated with extraordinary fruit compositions. 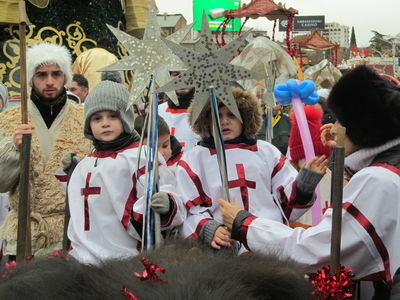 The festival features open-air concerts of traditional music and dancing and various cultural events, centered in the historical part of the city - Old Tbilisi. People from all over Georgia represent their region at the fair of the harvest. Prime Minister of Georgia Bidzina Ivanishvili held a press conference and answered the questions of representatives of international media. During the press conference the prime minister talked about the State Budget, pensions, tariffs for electricity, Georgian-Russian relations. The prime minister has also talked about the reforms in juridical system and courts. Ivanishvili also talked about his visit to Azerbaijan and questions he will negotiate with the government and president of Azerbaijan. 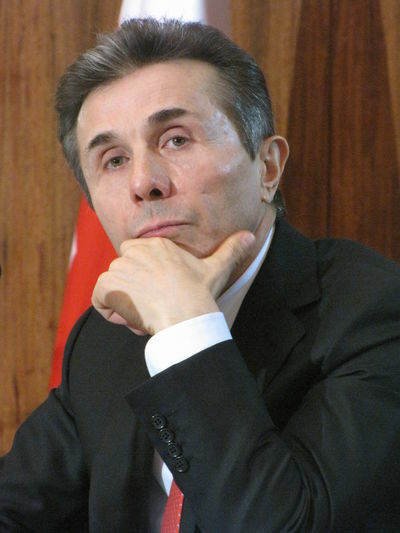 Irakli Alasania became the minister of defense of Georgia in October 2012. 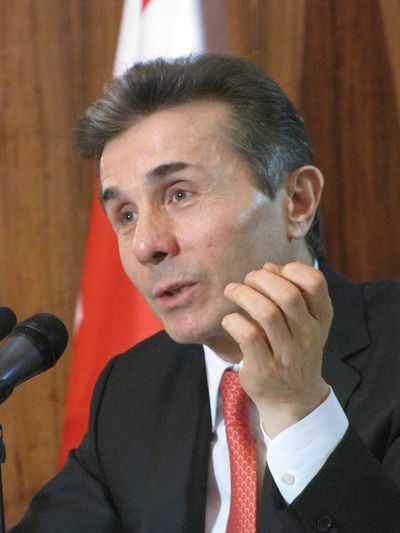 As it is mentioned on his official site, Irakli Alasania graduated from the Tbilisi State University with a degree in international law in 1995. 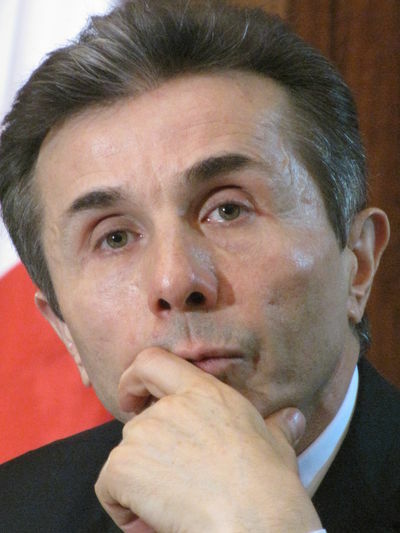 He worked for the Ministry of State Security of Georgia from 1994 to 1998. 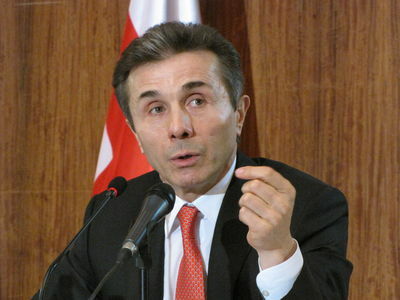 He then served as deputy minister of State Security from February 2002 to February 2004, and deputy minister of defense from March 2004 until July 2004, when he was moved to serve as the deputy secretary of the National Security Council of Georgia. 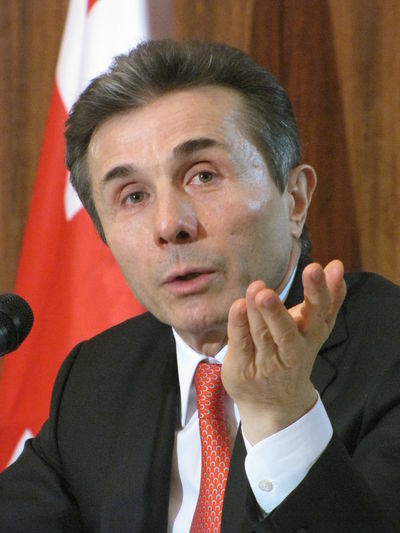 In 2006 he was appointed as Georgia’s Permanent Representative to the U.N. 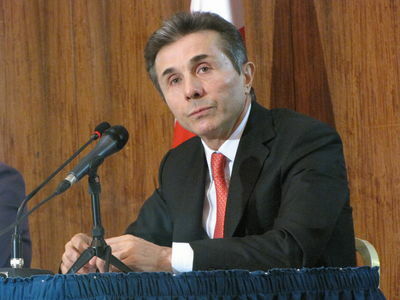 In December 2008 Alasania resigned from the position of ambassador. 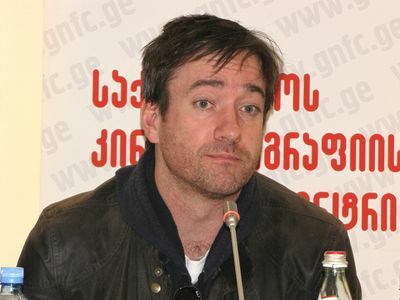 In February 2009 he presented his political platform and team to Georgian society. 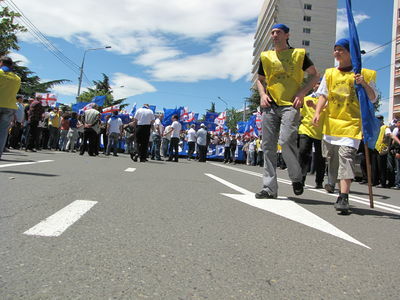 On 16 July 2009 was founded political party Our Georgia – Free Democrats and Alasania became its chairman. 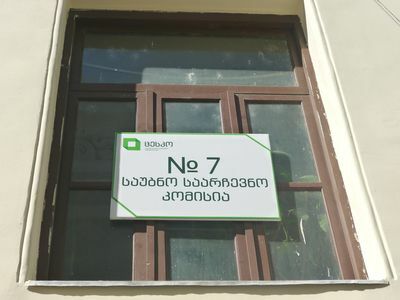 In 2012 was founded political coalition Georgian Dream with the Free Democrats as one of three co-founding political parties and Alasania became one of the leaders of the coalition. After the victory of Georgian Dream in the Parliamentary elections he became the minister of defense of Georgia. British producer Mike Downey and director Ben Hopkins shoot new film Epic in Georgia. The film is an international co-production between the UK, Germany, Russia and Georgia. As it is mentioned in official press release of the Georgian National Film Center, Tbilisi-based production company 20 Steps Productions will shoot Epic, an international co-production between the UK, Germany, Russia and Georgia. 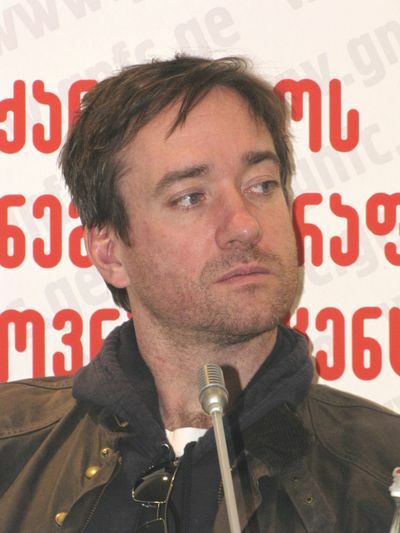 Epic is supported by the British Film Institute (UK), the HessenInvestFilm fund (Germany), Metra (Russia), and the French-German cultural channel Arte, as well as the Georgian National Film Centre. The film is a co-production between London-based producers Film and Music Entertainment led by Mike Downey and Sam Taylor, Daniel Zuta’s Frankfurt located Brandstorm Entertainment, Metra Films’ Artem Vassiliev in Moscow and Tbilisi’s 20 Steps owned by Vladimer Katcharava. 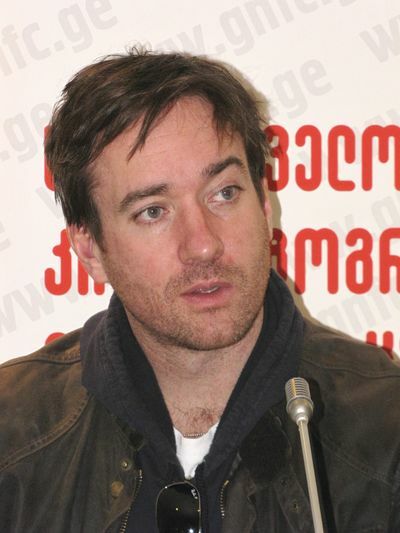 The list of international cast includes Matthew Macfadyen as Emil Forester, whose performance as Darcy opposite Keira Knightly in Pride and Prejudice is the stuff of cinematic legend. Opposite him plays the heroine of the latest Twilight – Breaking Dawn mega-franchise, Myanna Buring as love interest and heroine Tulpan. German actor Richard van Weyden takes centre stage playing himself and also the founder of the Karastani nation. Epic is a gentle black comedy about a confused, washed up Academy Award winning British director Emil Forester, who is invited by a nascent state to make a national Epic in an obscure Caucasus Republic. When Emil Forester receives an invitation to the Embassy of the Autonomous Republic of Karastan in London to discuss his career and to receive an invitation for a retrospective of his films in ‘Karastan - Land of Inspiration’, little did he know that he would be embarking on one of the wildest journeys of his already diverse and colorful career. 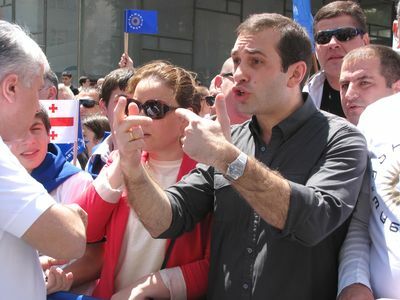 In the spring 2012, before the Parliamentary elections, political coalition Georgian Dream led by Georgian billionaire Bidzina Ivanishvili launched its election campaign with a rally in the center of Georgian capital - Tbilisi. 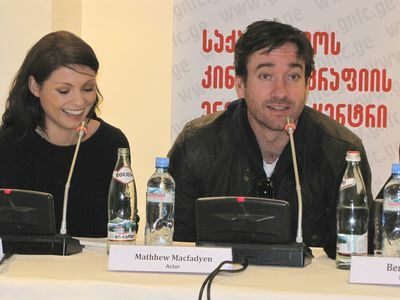 Famous British actors Matthew Macfadyen and Myanna Buring visit Georgia to participate in film Epic, an international co-production between the UK, Germany, Russia and Georgia. As it is mentioned in official press release of the Georgian National Film Center, Tbilisi-based Production Company 20 Steps Productions shoot Epic – international co-production between the UK, Germany, Russia and Georgia. 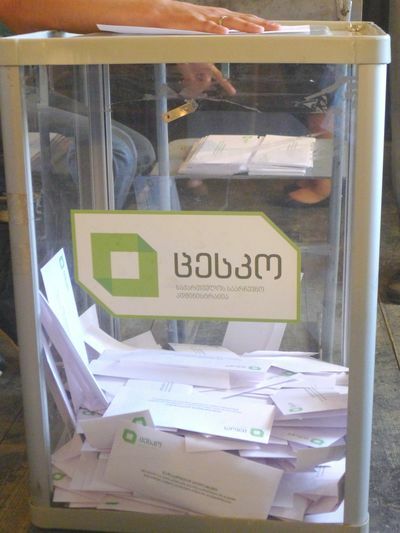 EPIC is supported by the British Film Institute (UK), the HessenInvestFilm fund (Germany), Metra (Russia), and the French-German cultural channel Arte, as well as the Georgian National Film Centre. 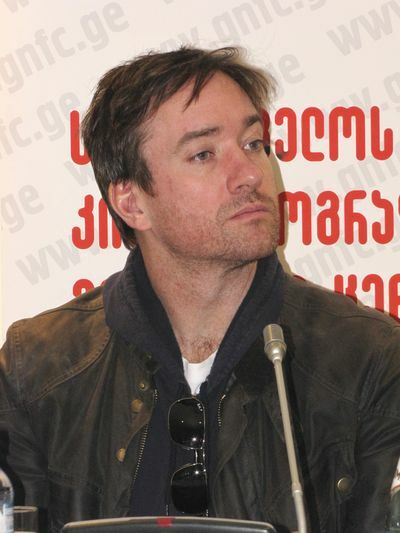 Famous British actor Matthew Macfadyen visits Georgia to participate in film Epic, an international co-production between the UK, Germany, Russia and Georgia. As it is mentioned in official press release of the Georgian National Film Center, Tbilisi-based Production Company 20 Steps Productions shoots Epic – international co-production between the UK, Germany, Russia and Georgia. 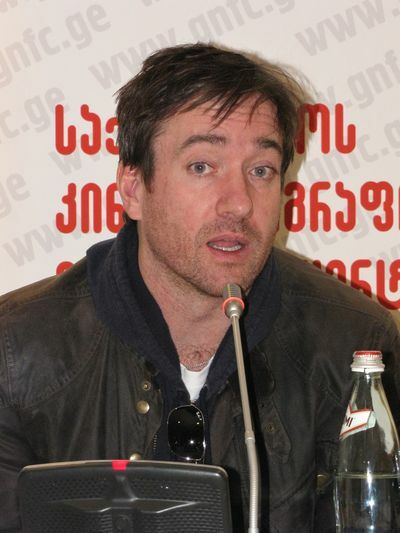 EPIC is supported by the British Film Institute (UK), the HessenInvestFilm fund (Germany), Metra (Russia), and the French-German cultural channel Arte, as well as the Georgian National Film Centre. As it is mentioned in official press release of the Georgian National Film Center, Tbilisi-based Production Company 20 Steps Productions shoot Epic – international co-production between the UK, Germany, Russia and Georgia. Principal photography begins in Georgian capital Tbilisi on December 20th. 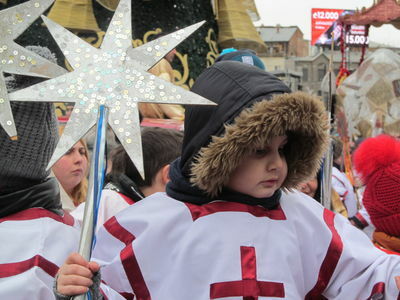 EPIC is supported by the British Film Institute (UK), the HessenInvestFilm fund (Germany), Metra (Russia), and the French-German cultural channel Arte, as well as the Georgian National Film Centre. 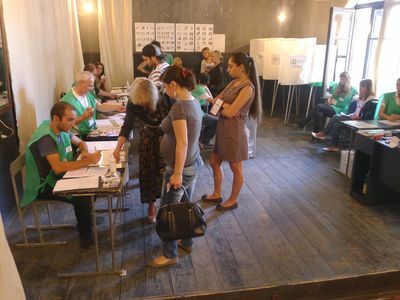 Parliamentary elections held yesterday in Tbilisi, Georgia. 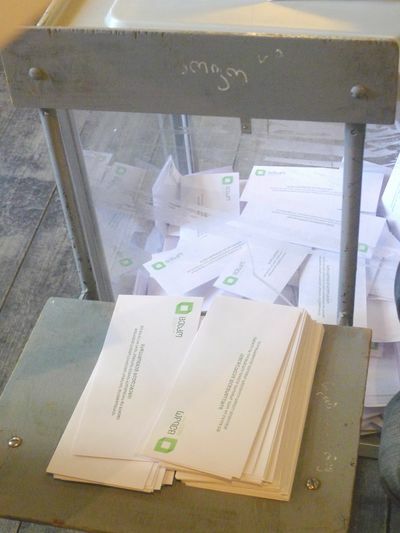 Many polling stations opened in cities and villages of the country. 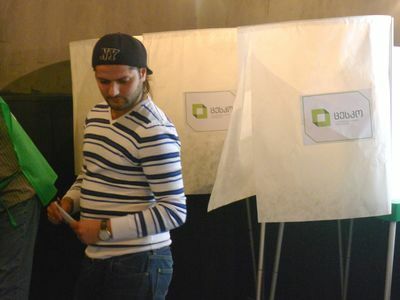 Members of the election commission wore special green uniforms. They were helping voters to go through the registration process and vote. 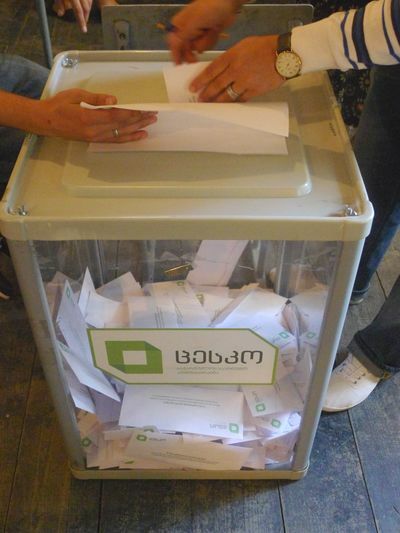 Citizens came to the polling stations to vote for their favorite candidates and parties. 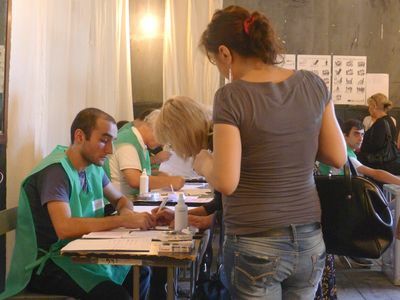 At the polling stations there also were observers and representatives of accredited Georgian and international mass-media.